Eyes On Texas Vision Care provides the highest quality optometric care to our patients in a caring and professional atmosphere, and in a timely manner. We also try to assist those patients just finding out about an eye-associated medical condition who wants to know what to expect and that they will be properly cared for. These are our goals. 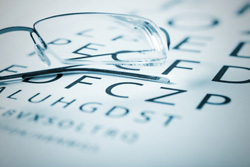 It’s important to have your eyes checked and your prescription for glasses updated regularly. 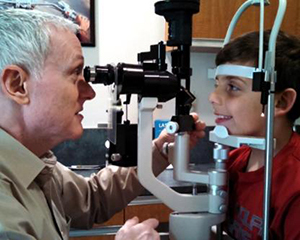 Occasionally, an eye exam will be deferred for more pressing social or family matters. It is important to remember that yearly comprehensive eye exams can often allow discovery and treatment of systemic diseases and disorders before they develop. We provide prescriptions for glasses and contact lenses as well as working to maintain good eye health for our patients. We will also refer out for surgical consultations as needed. At Eyes on Texas Vision Care, each member of our vision care team is selected by Dr. Marc Kessner based upon his or her experience, professional demeanor, and dedication to providing personalized care to our optometry patients. Our entire San Antonio optometry staff is committed to ensuring the comfort and satisfaction of each and every patient. We will do our best to accommodate your busy schedule by finding appointment times that meet your needs. Our knowledgeable staff at Eyes on Texas Vision Care will work with you to help you understand your vision insurance coverage and provide financial alternatives to ensure you get the best vision care possible. We know that you have a choice when it comes to San Antonio optometry, so we strive to provide comprehensive eye exams, a great selection of glasses, and personalized care.